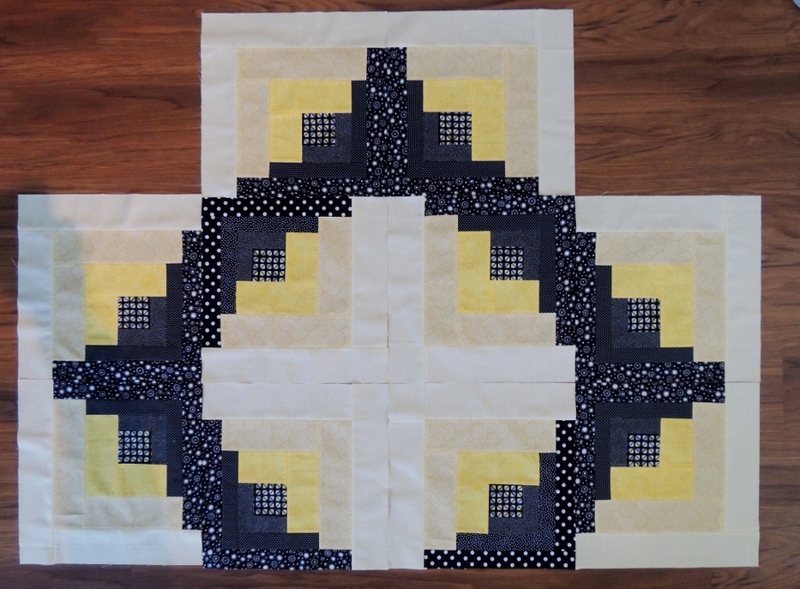 I have a very soft spot for log cabin quilts. 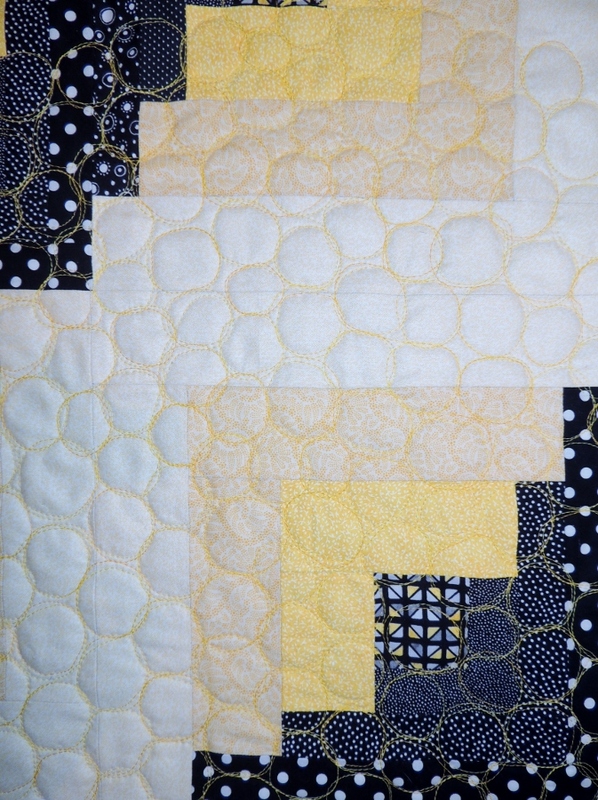 I don’t exactly know why; probably because they are very geometric and play so well with color blocking. 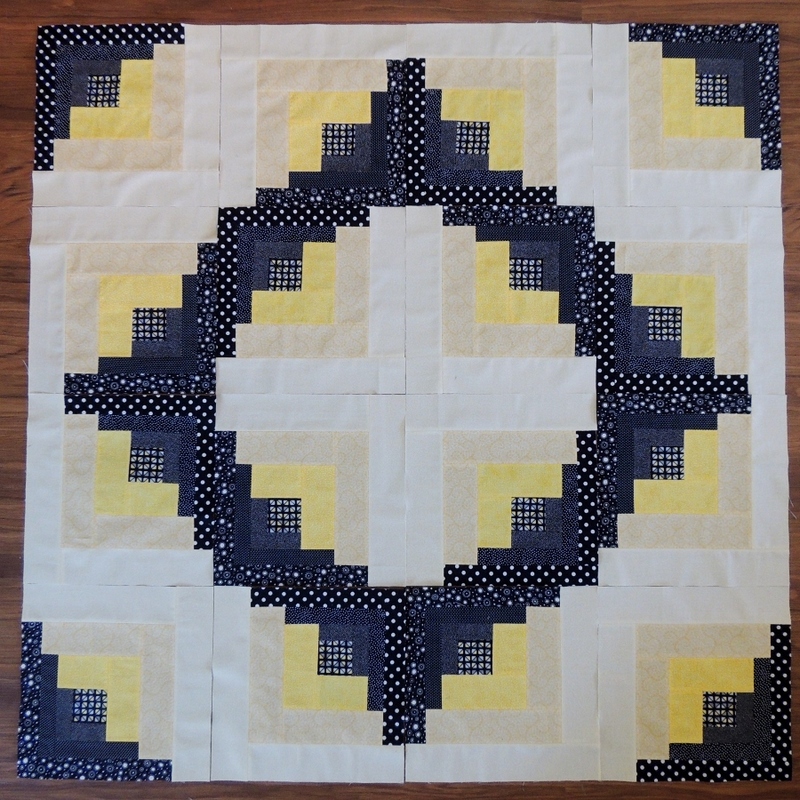 The more I am drawn to the modern quilting movement, the more I kind of question myself with this log cabin love affair. But have you seen what a log cabin can do? 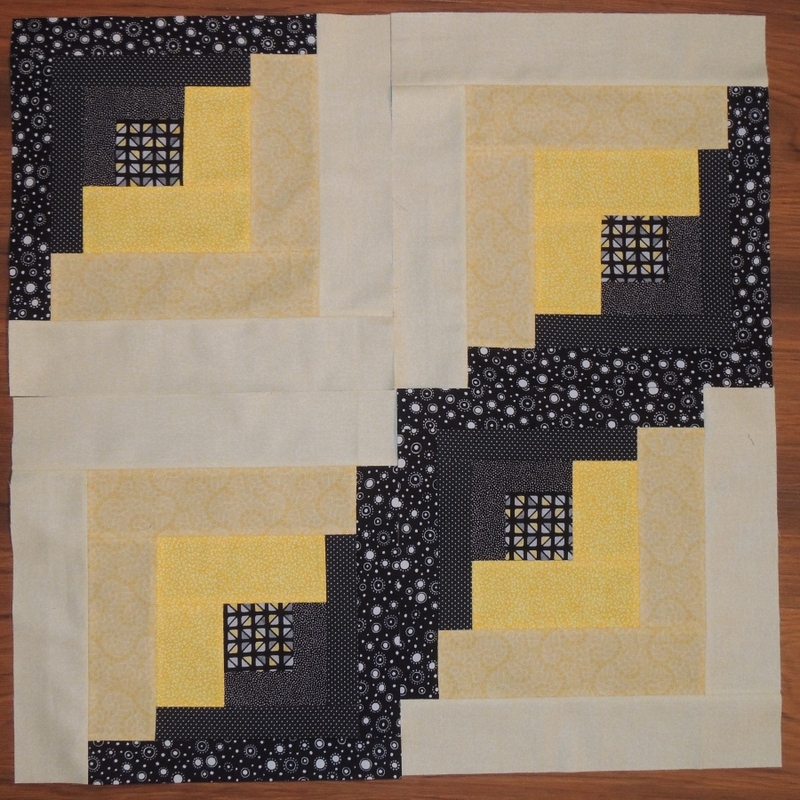 Especially if you stitch one side with wide strips and the other side with narrow strips? 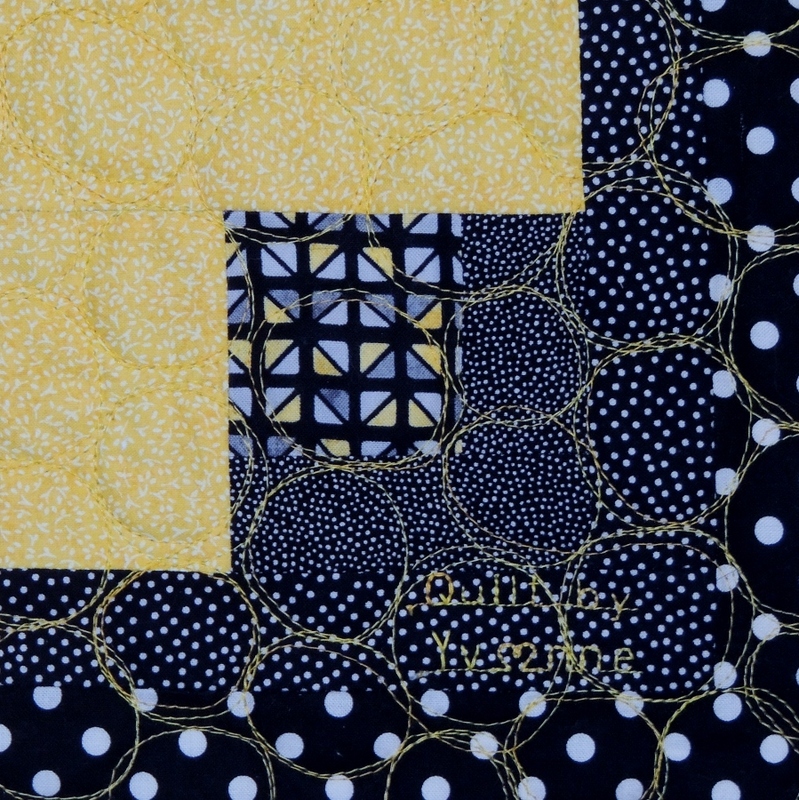 For the backing, I used a black and white polka dot fabric that really messes with your eyes and the camera lens from a distance! 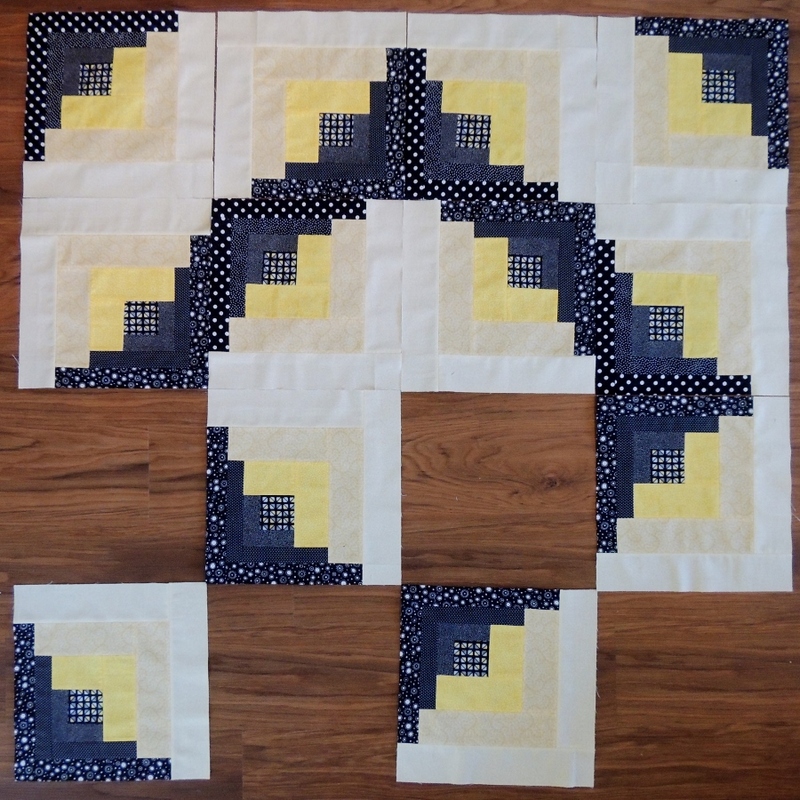 I find that the way that a very traditional and “square” block like a log cabin can be made and pieced to give soft curves is really pleasing. 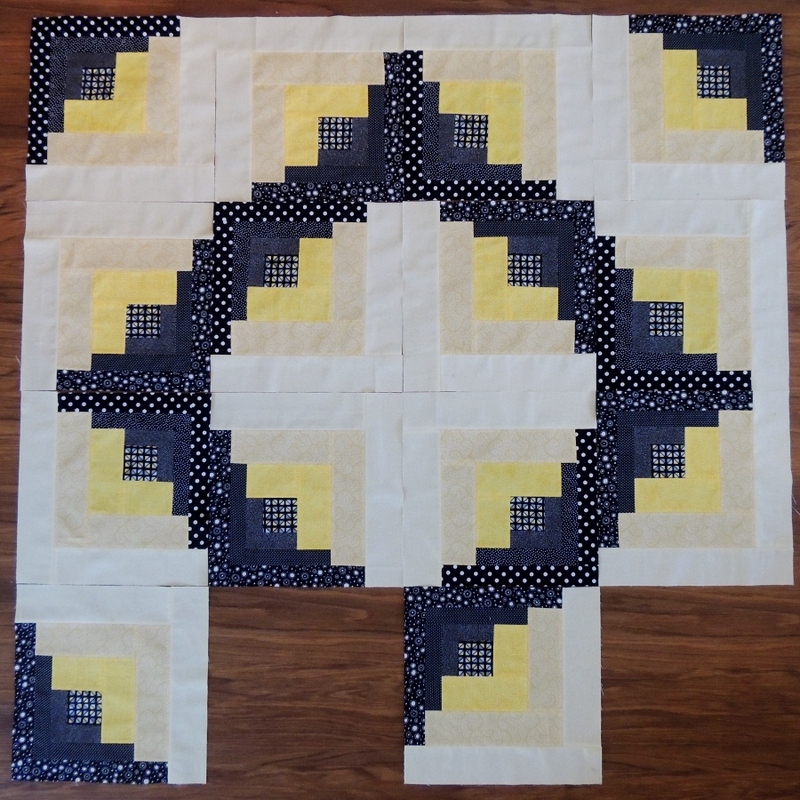 I decided to continue the illusion with the quilting pattern. 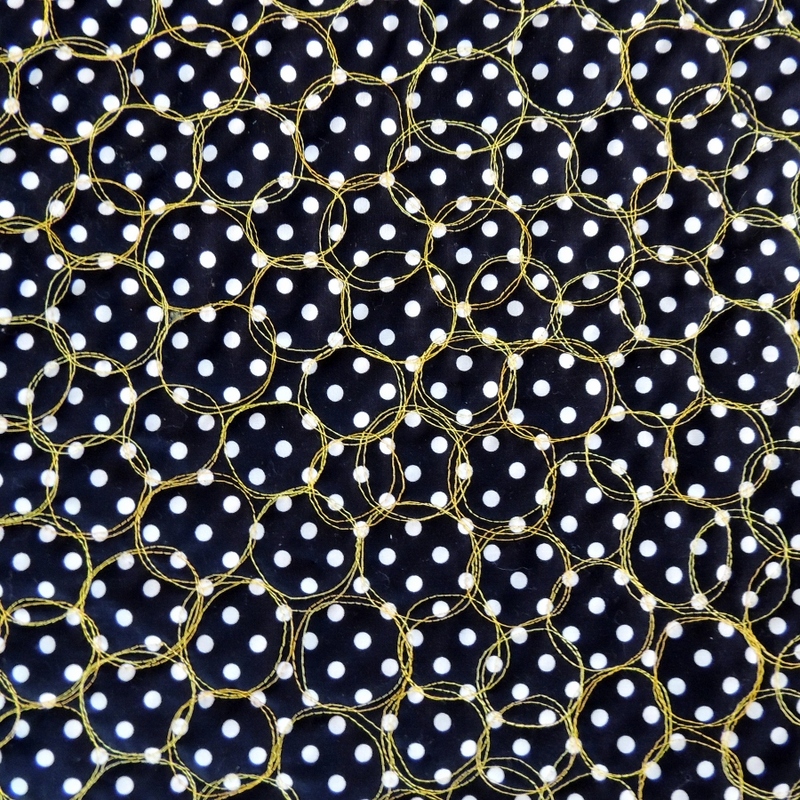 When I learned this pattern, I made very small little pebbles and nested them very tightly with one another. 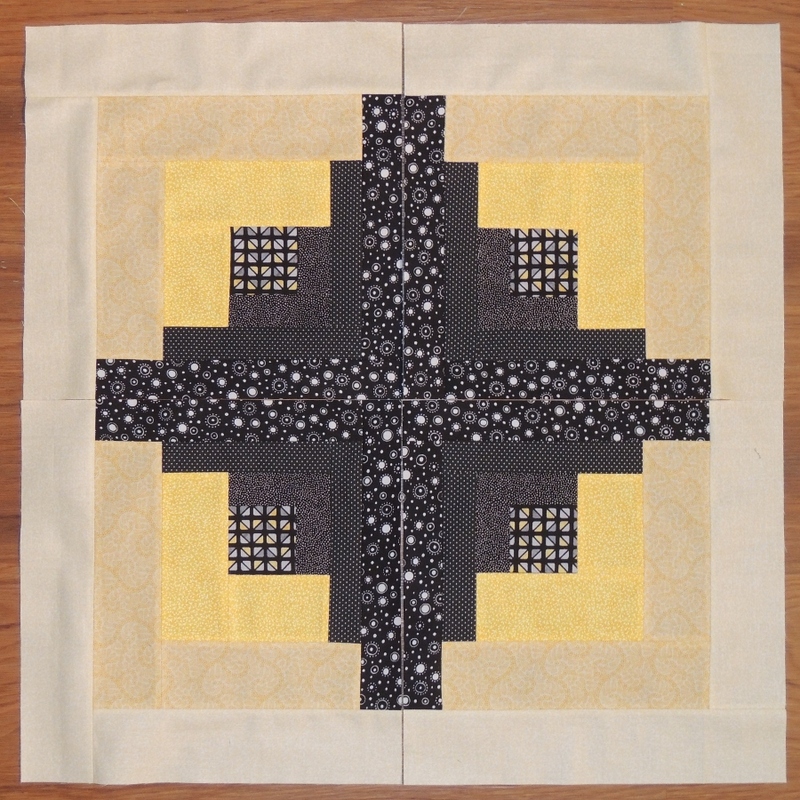 I tried to think more along the lines of “river stones” as I was doing this quilting. As a friend pointed out, this looks a lot like a compass. How fun! 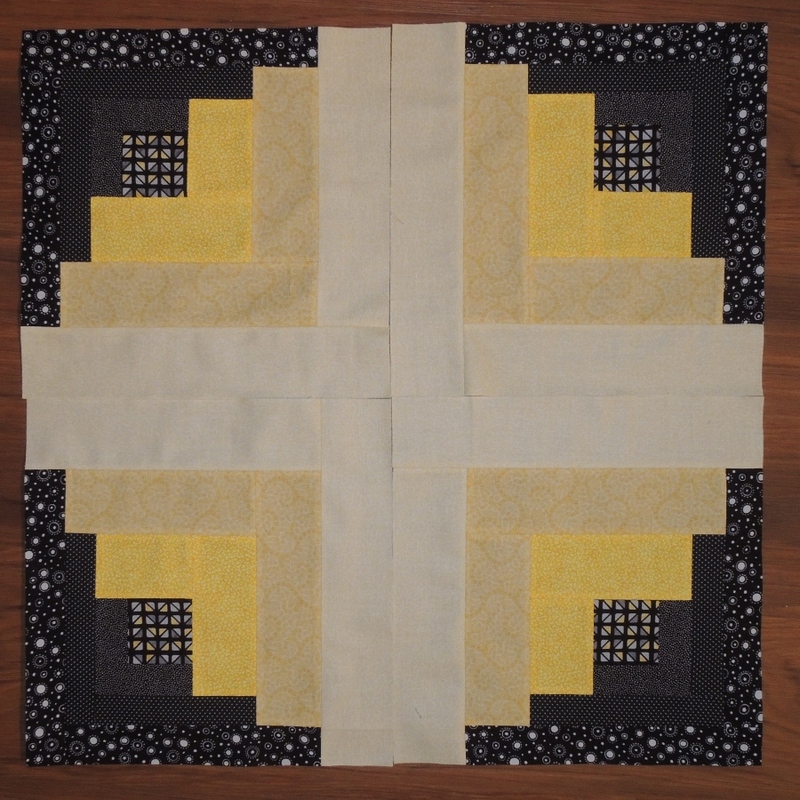 The binding is the same fabric as the center of the log cabin squares which I think pulls the theme together. 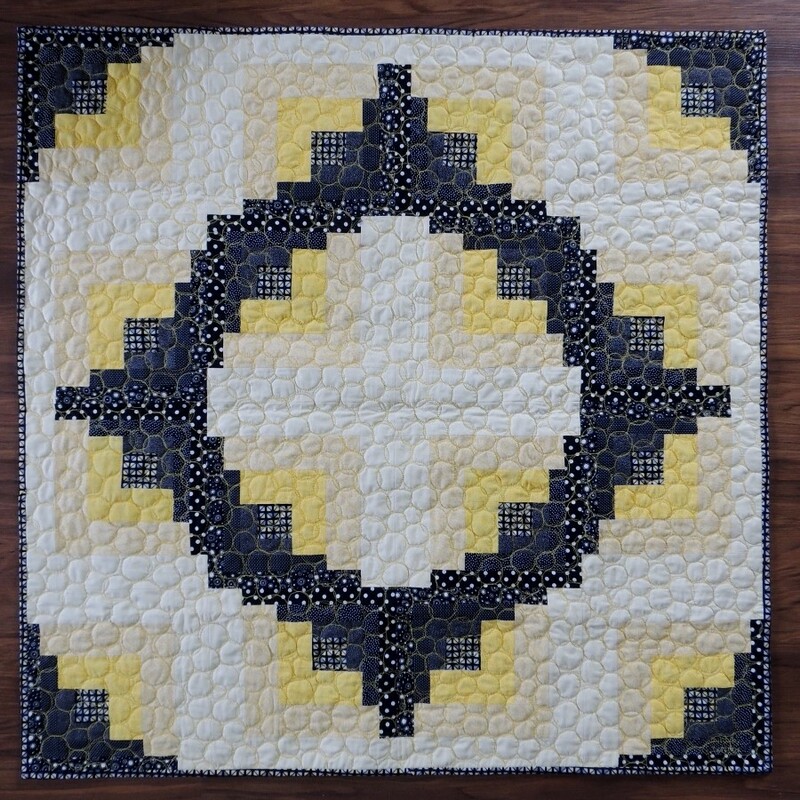 Another quilt is done! Yay!